Revive hands in just one month! For many people, the arrival of summer often brings with it time spent in the garden, whether for work or leisure. This means that hands can come under intense strain when gardening for hours at a time, and to help you keep your hands looking and feeling their best we've created the Gloves in a Bottle and Briers General Gardening Gloves Summer Gardening Bundle. 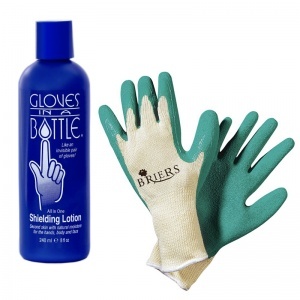 This bundle combines a 240ml bottle of Gloves in a Bottle to stop hands from becoming dry with the Briers General Gardening Gloves 0262 to protect hands while improving grip for safer and easier handling. This way, you can prevent your hands from becoming too dry, while also protecting them from harm, ensuring you can remain comfortable in the garden for as long as required. Gloves in a Bottle combines the shielding protection of gloves, but it is presented as a lotion that can be applied to create a barrier between the skin and environmental hazards that could lead to dry hands. 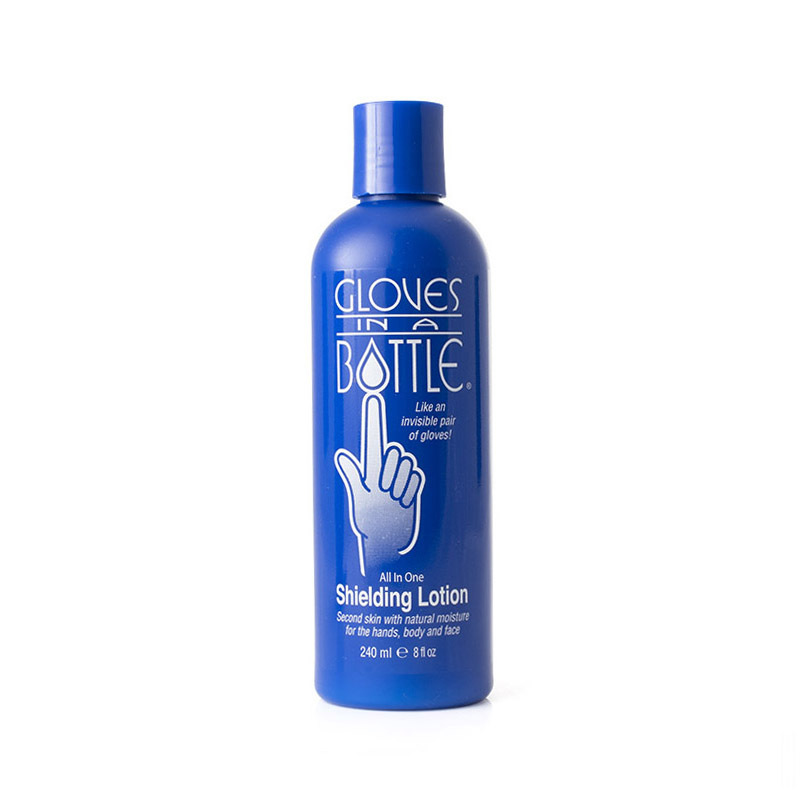 The lotion keeps hands moisturised for up to four hours, and cannot be washed away or rubbed off, ensuring ongoing protection. It absorbs quickly without leaving the hands feel greasy, while leaving the skin able to breathe and heal in cases of existing dryness. For more information about Gloves in a Bottle, please see the individual product listing for the 240ml Gloves in a Bottle. While the moisturising barrier of the Gloves in a Bottle can act as a pair of gloves, there will be some gardening tasks, such as when handling cumbersome tools or tending to thorny plants, where wearing more robust gloves would be more practical. This is why we've included the Briers General Gardening Gloves, as the latex-coated gloves improve grip for saver handling while protecting hands from sharp plants. They also feature an elasticated cuff for a more comfortable and secure fit, as well as breathable backs to keep hands feeling cool and fresh for longer. 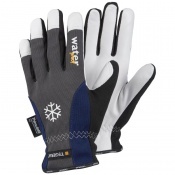 The General Gardening Gloves are available in a choice of sizes; please see more information about sizing. 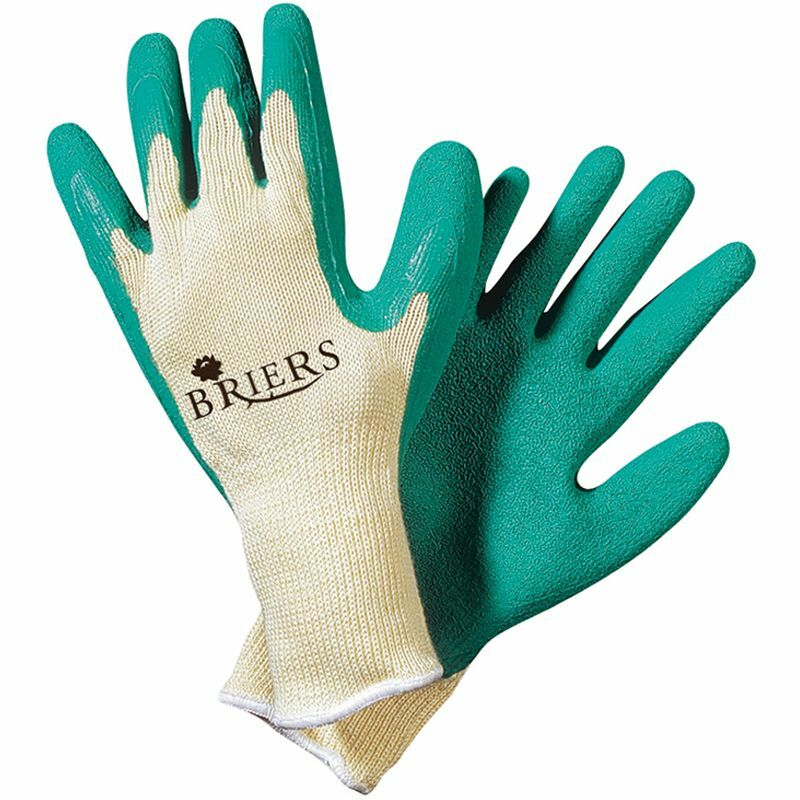 For more information about their protective and practical qualities, please see the Briers General Gardening Gloves 0262. The Briers General Gardening Gloves are available in a choice of sizes for the most practical fit. Please consult the table below for details. We know that your hands are important to you, and that's why we've created this bundle to help you keep your hands moisturised, clean, and protected while gardening. To provide you with the convenient care your hands deserve, the Summer Gardening Bundle combines these two items to allow you to save money so you can concentrate on what really matters: your safety and comfort! Please find the conformity statement and user instructions for these gloves by clicking the PDF link below.